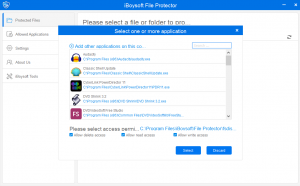 iBoysoft File Protector is a Windows application that allows you to ‘protect’ your files and folders from accidental or malicious deletion. It’s nice and simple. 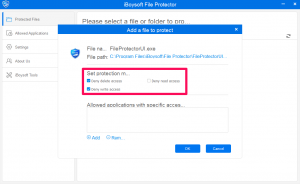 After installation, you just choose the files or folders that you don’t want deleted and choose the level of protection. 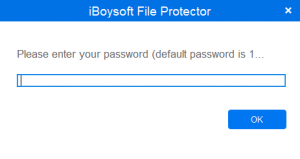 Anyone that doesn’t have the password for the iBoysoft File Protector will not be able to access, change or delete the file or folder. There is a free 7 day trial. A one year license is only $29.95 and a lifetime license is $39.95. There is also a 20% discount for academic, non-profit or government users. 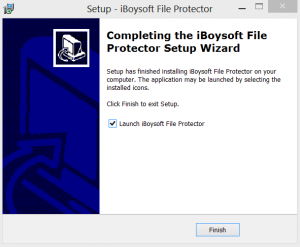 Installing the iBoysoft File Protector is typical. The usual prompts lead you to the last box. Click Finish to launch the application. The next window asks for the default password. After entering in the default ‘123456’ password, the application launches. If you are using the seven day trial, you can get started. If you bought a license, you can add the key in the Settings tab. Now, this application couldn’t be simpler. Even my Mom could use it. However, to save myself many headaches, I’ll just keep it a secret from her. 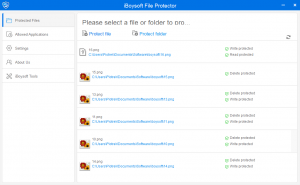 As you can see in the above screenshot, you just click on Protect file or Protect folder and choose your items. After you’ve chosen, you can then decide on the level of protection. As can be expected, if you choose Deny delete access and Deny write access, the unauthorized user will be able to open the file or folder, but will not be able to delete or make any changes. If you also choose Deny read access, the unauthorized user will get a similar error as seen here below. In case you want access to your files or folders to be more specific, you can also choose which applications can access them. For my review, I protected an mp3 file and gave my music editing program Audacity access to the mp3. Finally, to see the files that are protected, you click on the Protected Files tab. To see your applications, click on the Allowed Applications tab. The Settings tab allows you to change the password, set access defaults and shell settings. All in all, a very compact and easy to use application. 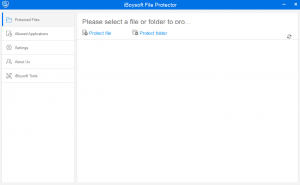 For the most part the software does what it claims to do; protecting files at the specified level when accessed via an application or directly in Windows Explorer. I even tried to delete files with custom “malicious” app that attempted to delete the files. HOWEVER, there does seem to be an issue. 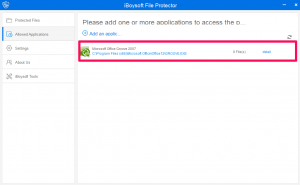 A file that I deleted was still shown in the iBoysoft File Protector as being protected. There should at least be some kind of error letting you know that a file that has been deleted no longer exists. An unsuspecting user of this application will think that as long as it is in the list of protected files, it must still be there. Overall, I would recommend this application as an intermediate protector. Someone who knows how to use command lines can still bypass this software. However, if you need to protect your files from kids or senior citizens, it’s probably good enough. Files that are deleted, still show in the app as protected even after a reboot. This is kind of a large inconvenience if you have a large amount of files of which to keep track. Thanks to iBoysoft for providing the review sample.